3,000 layoffs. Aides, secretaries, nurses, librarians, art and music teachers, classroom teachers, assistant principals, counselors—people who have worked in our children’s schools for years, keeping schools running smoothly and keeping our kids safe, teaching them to read music, administering medication, guiding them through applying to high school and college, and helping them acquire research skills. 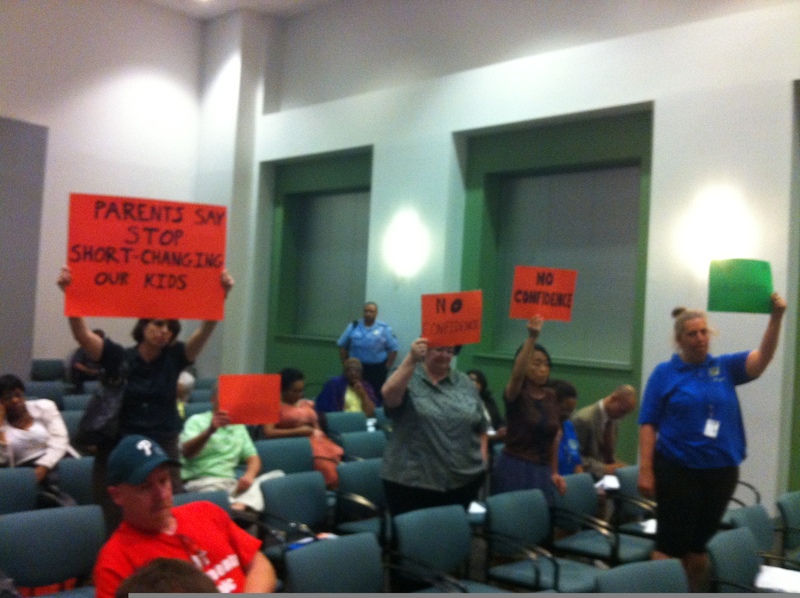 Parents are appalled at this action, which will hurt everyone in our city in many ways. When 3,000 people lose their jobs, the economic and personal consequences borne by those individuals and their families are not only devastating on an individual scale—they ripple out. These layoffs will undermine school communities and neighborhoods, and ultimately our city and state economy as well. And what will happen to our schools? Maximum class sizes, no sports, arts, music, librarians or guidance counselors for children. No supervision during lunch or recess. No secretary to take care of all the administrative office functions. This isn’t what school is supposed to be. This is not a school. This is a failure of leadership and funding at the city and state level. It is absolutely immoral for the state of Pennsylvania, which has insisted on a state takeover structure for Philadelphia’s schools over the last 12 years, to leave our schools – both public and charter – in such utter distress. The whole point of the takeover was to help distressed school districts, not leave them in worse condition than when they were found. We’ve already seen hundreds of layoffs over the last few years under Corbett. 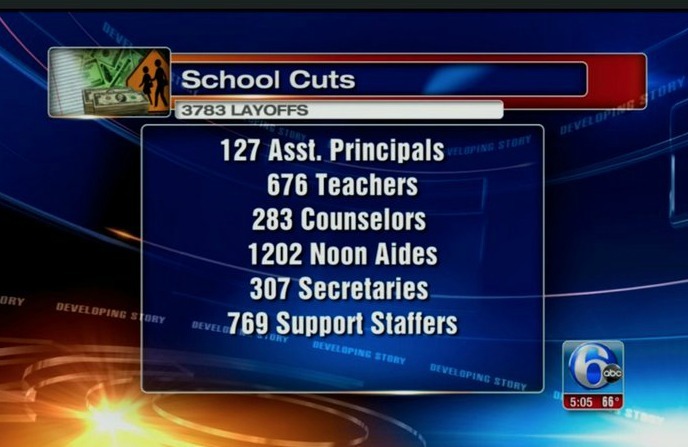 Today we not only see thousands more layoffs but mass school closings as well. It is time for city and state leaders to stop evading their responsibility and start living up to the crucial task with which they are charged—the provision of a “thorough and efficient public education” for all children across the Commonwealth as guaranteed by our state constitution. Philadelphia is due hundreds of millions of dollars from both the city and state. We need City Council to step up with a $60 million guarantee and not punt to Harrisburg with an ad hoc sin tax on cigarettes alone and tired promises about tax collection. We need the state to fully and equitably fund public education across Pennsylvania and restore the nearly $1 billion they took out of education spending that brought districts like ours to the brink of disaster. Parents United stands with students and with teachers and school staff. 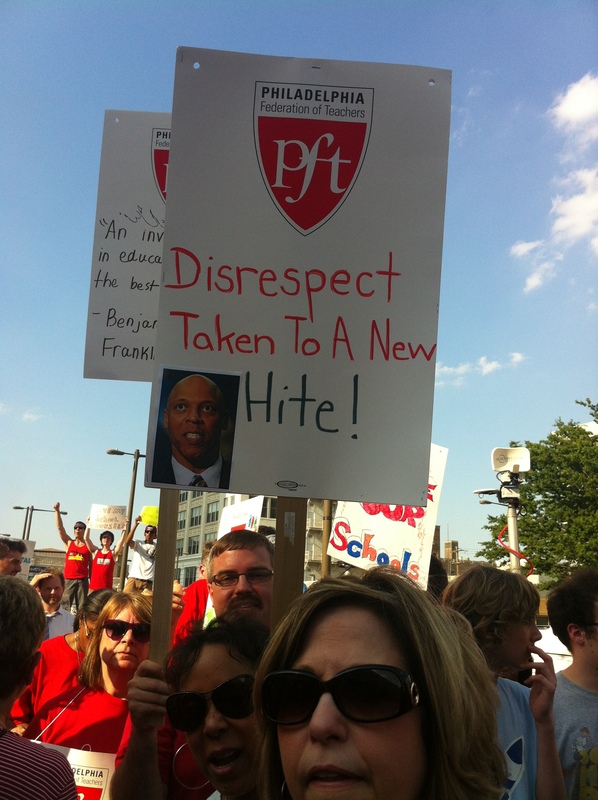 Shame on the state, and shame on Governor Corbett, for putting children and families through this failure to provide appropriately for public schools, which are a basic cornerstone of our democratic culture. The eyes of the nation should be on Philadelphia. If the state and city can find funds to build a $400 million prison north of Philadelphia, casinos, and the like, while letting 200,000 of our own children in schools suffer, that is unacceptable. As parents, we cannot accept this. We will continue to testify, call, write, lobby, and protest. We will go as far as we have to go in order to protect our children, their schools, and the democratic values enshrined in our nation’s historical commitment to public education. Today you are set to vote on a budget that strips away any last pretense that there is a child-centered, education-focused mission guiding this budget and our District. We have long worried that the biggest challenge we face has as much to do with a failure of a compelling educational vision as it does a lack of political will around funding. One drags the other into a downward spiral of disinvestment and disengagement. I want to remind you that last year 49 Home & School Associations and parent organizations issued a vote of no confidence in last year’s budget for this very reason. And here we are a year later with our worst fears confirmed by this budget. We were there when you promised parents and families at the 24 schools being closed that you would address their needs and concerns, that you would work to make sure that the receiving schools would be better than the ones the children currently attend. Those promises were broken with this budget. Next week if you go through with this vote, thousands of beloved staff will get layoff notices and get bumped from schools many have poured their hearts and souls into. This is not a symbolic vote. It has real consequences around enormous instability in already fragile schools. The schools suffering under this budget have been stalwart bulwarks against poverty and disinvestment in communities. Most of our schools are solid performing stable neighborhood institutions of pride, civic engagement and academic possibility. Your budget has undermined every single one of them, from the most struggling and most deserving of schools to the most elite magnets and highest performers. How can you justify this? In the past week I’ve crisscrossed this city as parent group after parent group has risen up to rally and defend their schools. Over the last few months you have seen thousands of parents, students and concerned community members traipse through City Council offices, write letters to Harrisburg, make hundreds of phone calls and march in support of school funding. Parents have done their part. Now it’s time to do yours. You made your point. You developed this budget to show what schools could look like. But it’s your moral and educational responsibility to pass a budget to show what schools must uphold. You must amend this budget. The budget as it currently stands reneges on a constitutional mandate for a basic and appropriate education for every child. So if you choose to go through with this vote, then may this be your last vote as a formal ruling body over our schools and our children’s future. After 11 years of a state takeover, you surely do not deserve to cast another as an educational leader. Let this be the last vote you cast which pulled resources out of the classroom and held our education hostage while you frittered away hundreds of millions on reckless charter expansions, Pearson Inc. and the spectacular embarrassment known as PA cyber charters. Let this be the last vote you cast as you pit educators against parents, school communities against school communities, fighting over nickels and dimes, and call that leadership. Let this be the last vote you cast that spent $2.5 billion of taxpayer funds and did everything but ensure that our children would have a decent school experience in September. Let us all remember that on this day, a vote for this budget is not an official act. It’s a deeply immoral act against the children and families of our city, and we will not forget. Will anyone in the SRC be getting laid off or having their pay cut? The SRC is an entirely appointed, unpaid body in charge of $2.5 billion of public money and the future of 200,000 Philadelphia school children. It’s a central flaw. Helen, Philly School Counselors United would like to speak with you about our efforts. Please contact me as soon as you can. It is absolutely incredible that city and state officials who are supposedly in their positions to serve the common good would even propose yet alone impose their absurd fiscal disaster plan on the school system. Children’s lives and the city’s future are at stake here. Yet our leaders flounder haplessly in a tragic “theatre of the absurd,” without neither vision nor courage. This lack of educational direction is immoral and a national disgrace. “Theatre of the absurd” lacking “vision or courage” is a perfect description. Thank you Joe! We have similar things happening in WI. Our lovely governor is proposing statewide vouchers. We hear you loud and clear and stand behind you! We hope the vote is in your favor! Thank you Michelle for following this in Wisconsin. Whether it’s Wisconsin or Pennsylvania, there’s a common agenda at play supporting public starvation and privatized expansion. I signed it! Many of our parents in Philadelphia are involved with the Special Education funding formula campaign. Under this administration, PA has done a terrible job for all children statewide. LAST VOTE IS RIGHT! Clearly the SRC cannot do what it was created to do and I as a parent will stand with others to say–your time is over! 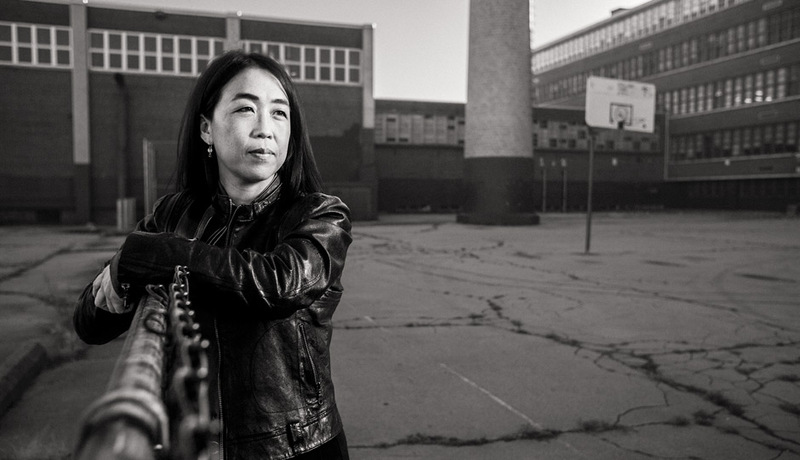 Clearly it’s time to go back to a school board and I nominate Helen Gym to be president. She and her colleagues have the experience and know-how to do a better job for our children than the SRC has done. It’s time for change and it will happen. Our children will NOT be held hostage again. Ms. Jensen—-Not all the kids are being held hostage–only some are and guess which kids they are and will continue to be. This is Jim Crow all over again, a form of segregation that is race based and fostered by the huge money shot callers and carried out by Governors like Corbett and weak kneed pawns like Nutter and Pedro. I agree that Helen would be great in any leadership role but marching around, wearing red and getting all moist and mushy about kids walking down Broad Street will have NO effect on these cretins. These are extraordinary times and need an extraordinary massive response with vigor and solidarity. Helen–Marches alone will NOT stop this big city corruption. There has to be a vigorous malice coming from our end and if that means threats so be it. These folks couldn’t care less about kids and/or adults marching around singing. Hi Joe. I’m not sure what you mean by threats. I’m also not sure what you mean by disparaging marches and singing. I think people understand the benefits and limitations of marches. We don’t endorse empty threats either. What we do believe is that education is a political game and therefore it needs to have political and electoral consequences. That’s a major push on our end.